ALLEGRA BOVERMAN/Staff photo. Gloucester Daily Times. 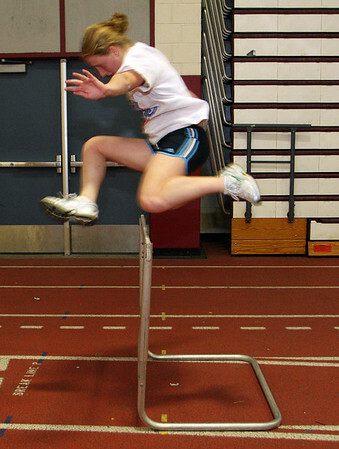 Gloucester: Gloucester High School indoor track team member Tiffany Pallazola, a junior, practices with the hurdles on Monday.